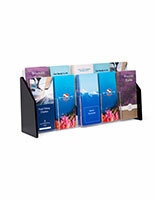 Display (3) Types of Trifolds in One Case! 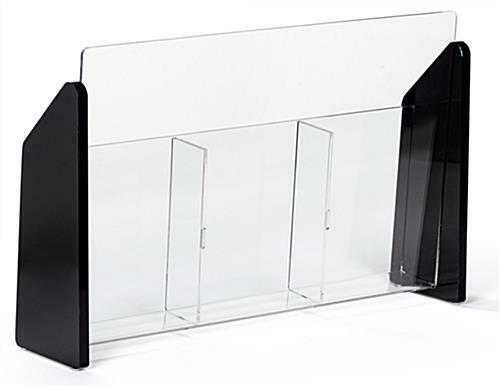 Black Acrylic Sides for a Modern Appearance! 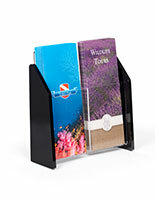 Front Panel is Clear to Keep Contents Visible! 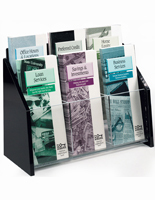 Set out informational brochures about your company, or cross sell for other companies, using these quality countertop stands. 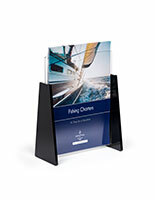 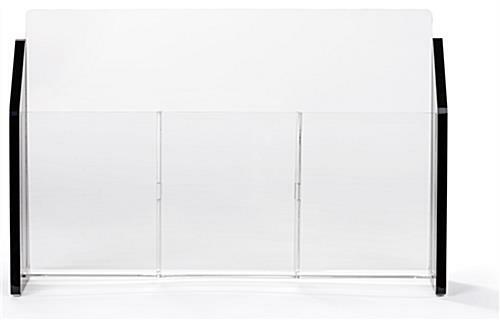 These store fixtures are perfect for professional offices due to the three acrylic pockets provided for displaying various sets of publications. 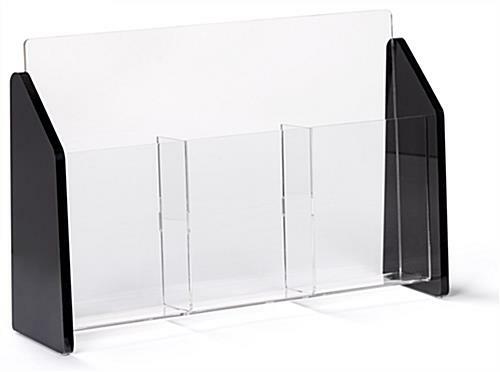 These countertop stands that are trifold racks are transparent so customers can see the advertising. 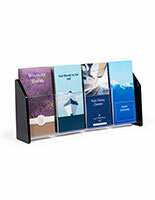 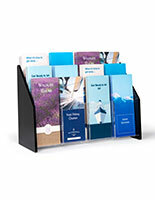 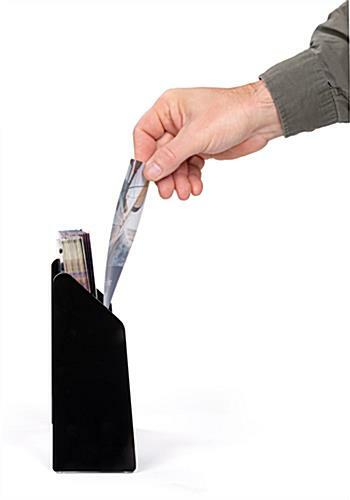 These pamphlet holders have black accents on the side for a decidedly contemporary appeal. 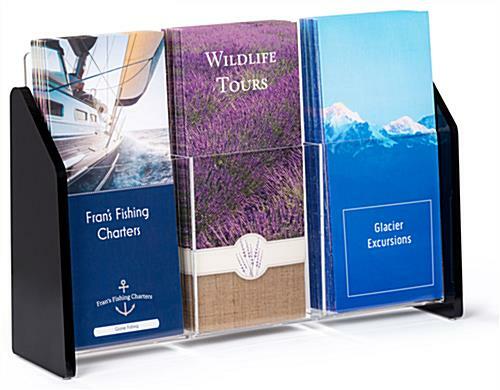 Each of the countertop stands, brochure holders, work well on a hotel concierge desktop, travel agency, or other type of professional office. 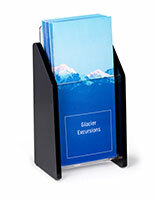 13.5" x 8.5" x 3.3"